In 1950 The Rover began publishing school badges on its front cover. They were sent by readers, and on 16 November the crest of St Clodoald’s School appeared for the second time. Its first appearance was an amended version: the boys had altered the legend under the badge so it read ‘St Clodoald’s Approved School’. (Approved schools were ‘open’ correctional establishments, less severe than reformatory schools or borstals.) An apology was published in the following issue, and the badge was included again, this time with the correct wording. The ‘approved school’ version became a collectors’ item, and a copy was sold at Sotheby’s for £3,400 in 1995. 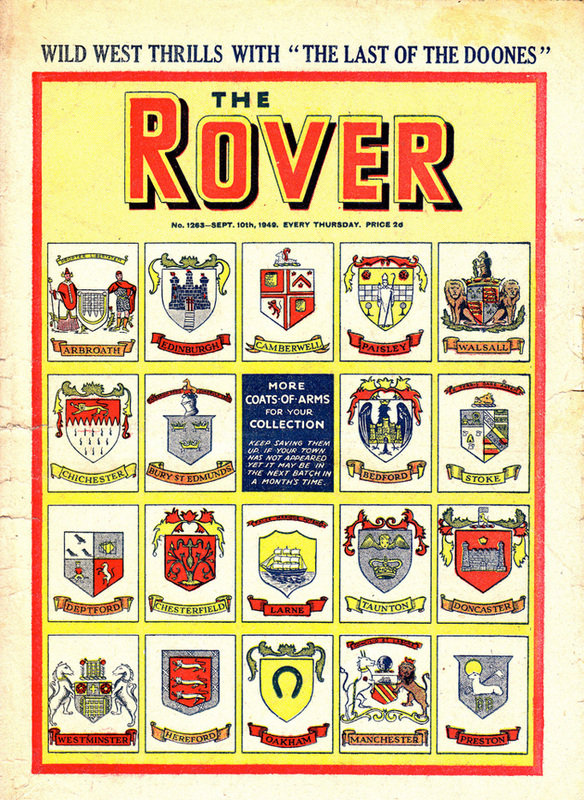 In 1997, Momento Press published The Complete Rover Covers 1949-1954. It was a surprise bestseller, despite being described by one reviewer as ‘the most pointless waste of time, money and trees that I have ever seen’.